We are so happy to announce the birth our second child, Zoe Joy Lee. Here are two cute pictures of her ..
Zoe Joy snugly wrapped up in a towel. This was right after the delivery. Here’s another picture of Zoe Joy lying in the crib. We are really blessed with Zoe Joy more details on the delivery and baby soon. Mommie Tiff is resting now. Baby Zoe Joy is in the nursery bathed and immunized. congrats… to you guys. i am one of the youth which you guys have blessed few years back in GTPD. A sure glad to know your whereabouts. Congratulations & God Bless You and Tiffany for Baby Zoe Joy! We are so happy for your family. May His richest blessings be with you all. Heartiest congrats to you & Tiff for God’s wonderful blessing of a baby girl to both of you! Please send my regards to Tiff…hope she’ll have a good rest. Congrats on the arrival of your second. On the arrival of Zoe Joy Lee! What a Joyous celebration of Life! Congratulations! Glory to God for the new born baby girl Zoe Joy Lee. May the joy of the LORD be with all of you. Congratulations to the both of you, Daren & Tiff for the safe arrival of Zoe Joy. Thank God for His grace and mercy. Congratulations on the baby girl!! Please extend our best wishes to Tiffany. Great to hear to mother and child are well. 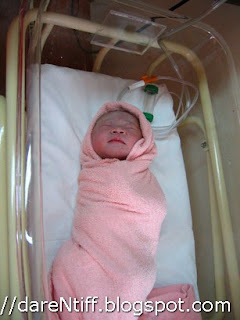 Congrats and best wishes to you new born baby, Zoe. Congrats to the proud parents Daren & Tiffany and tai-koh Nathanael…!!!! Congratulations Daren and Tiff! Happy for you guys! difficult to know that it has begun.”. Good times. congratulations, Daren…. certainly calls for an angpow. See you when you get back. Warmest regards to Tiff and Nathaneal, too. Wah … so cute leh! Congratulations to you and Tiffany for being a pair of proud parents again! Congrats on your new born ! Congratulations guys! God Bless! We are Zoe joyful on hearing you message! 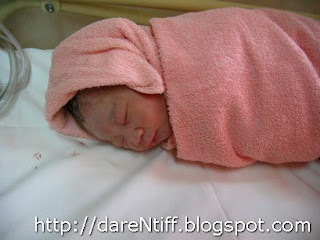 Congrats 2 both u n Tiff on d birth of Baby Zoe! We dedicated the lunch with a picture of the team cradling a baby! 🙂 Ask Cindy. Congrats Daren n Tiffany on de birth of your daughter. Welcome Zoe Joy Lee 2 de world! Congrats Tiff n Daren 4 yr bundle of joy. Rest well n take care. U and Daren make very good looking babies. She looks like koh-koh Nathanael. We r all so happy and excited over d new baby girl. U must b very tired. Hope u get some rest. Heard the good news about Zoe Joy Lee! Congrats! So happy for you all! Say Hello and give Zoe Joy a kiss for me. Praise God from whom all blessings flow. C u sooN! Hey Congratulations on baby girl. Glad to hear that both mum and baby are well. Now baby Nat will have baby sis to play with. Heard the wonderful news of the latest addition your baby girl. Heartiest congratulations to yr family on the birth of Zoe Joy yesterday. Rest well now. Hope 2 meet up. She looks marvelous 🙂 and has such a love-lee name!! 🙂 Rest well Tiff. See you soon.